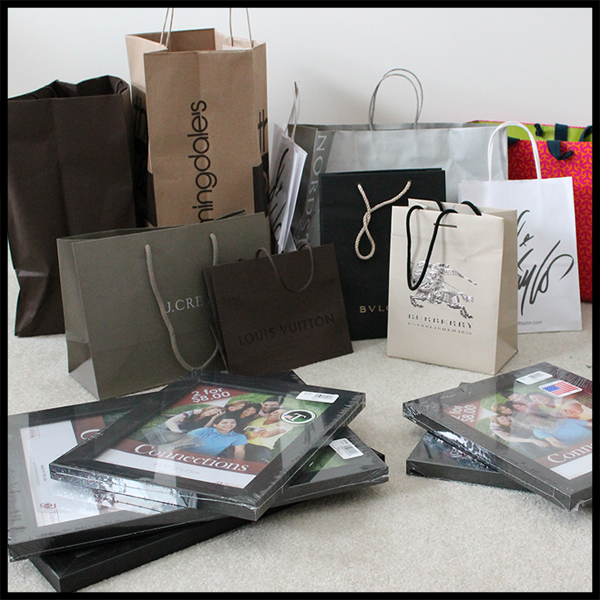 If you love to shop as much as I do, you must also find yourself with tons of shopping bags. Instead of throwing all the bags into the trash, I decided to try a little DIY project. 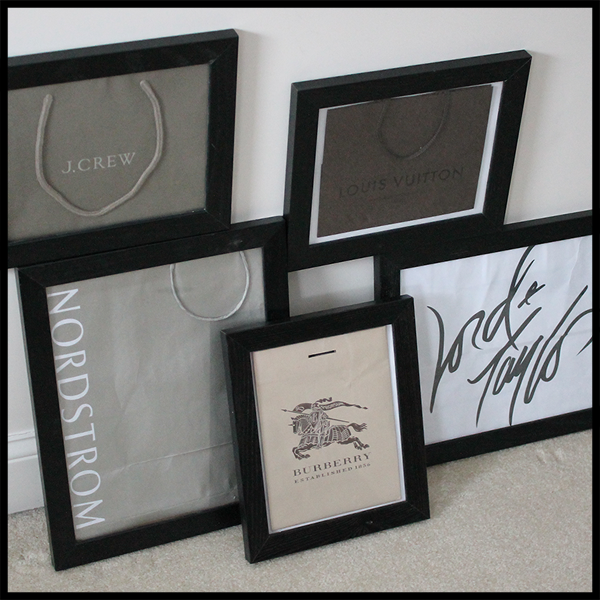 I purchased some inexpensive frames (5 frames for $25). 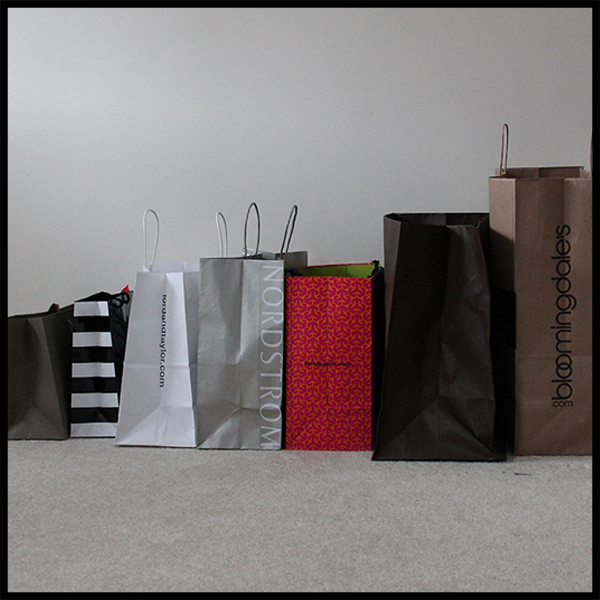 Then, I chose the bags (for this project I went with shopping bags with a neutral/greyscale color palette). 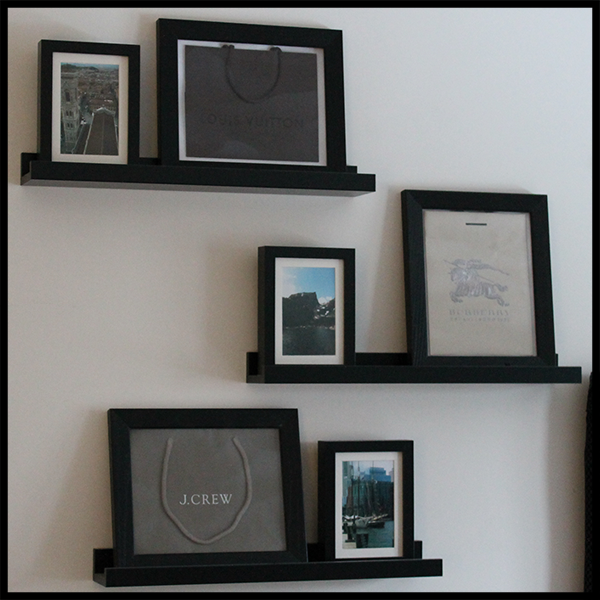 I simply cut the bags to fit within the frames (I even liked to include some of the handles, too). Then hang + enjoy!